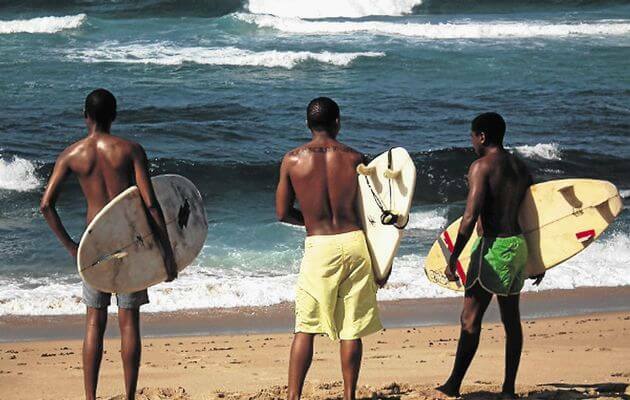 Over the years, South Africa has produced many excellent films with award winning performances. Many of them have been nominated for international awards. We’ve rounded up some of the best so you can give them a watch too. Written by Neil Blomkamp and released in 2009, District 9 is an action packed science fiction film. This film was a co-operation between New Zeeland, US and South Africa. The film explores things like social segregation, xenophobia and humanity. An alien ship lands in Johannesburg and on board aliens are discovered. The government keeps them in a segregated area called District 9. The action begins when one of the aliens tries to escape the camp. The film features excellent acting and special effects. It was an overnight success in the US and was nominated for various Academy Awards. A South African American collaboration, Sarafina was released in the 1990’s and directed by Darrel Roodt. The film centres on the uprising in Soweto when the South African government wanted to force instruction in Afrikaans in schools. Starring Leleti Khumalo, Miriam Makeba and Whoopi Goldberg, Sarafina was filmed in location in South Africa and was screened at the Cannes Film Festival in 1992. 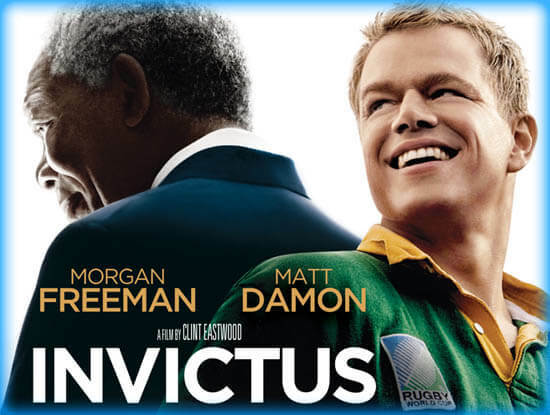 Directed by Clint Eastwood, Invictus, is American South African collaboration that stars Morgan Freeman and Matt Damon. It is a sports drama based on the book “Playing the Enemy “by John Carlin and is about the South African rugby team, the Springboks and their return to international sport after apartheid. Invictus won various awards, including Academy Awards, Golden Globe and Screen Actors Guild Awards and it also received positive reviews from critics. Released in 1980, The Gods Must Be Crazy is a South African comedy and was written and directed by Jamie Uys. The film was financed solely with local financing and was very successful. It is set on location in Botswana and follows Xi, from the San tribe who live in the Kalahari Desert. The San know nothing of the outside world and are perplexed by a Coke bottle falling out of the sky. The cast includes South African actors Marius Weyers and Sandra Prinsloo. The film is an adaptation of Athol Fugard’s book Tsotsi. Released in 2005 and directed by Gavin Hood Tsotsi is a South African UK collaboration, and features music performed by South African Kwaito star Zola that could also sound great as a sound track for the gambling online NZ has to offer. The story takes place in a slum in Johannesburg and is the story of Tsotsi, a street criminal who steals a car and afterwards finds a baby in the back seat. Tsotsi won an Academy Award in 2006 for Best Foreign Language Film and nominated for a Golden Globe. The film did relatively well at the box office and received many positive reviews. Directed by Oliver Schmitz this is a South African drama and was released in 2010. It is based on the novel Chanda’s Secrets written by Allan Stratton. It was entered into the Best Foreign Language Film at the 83rd Academy Awards and was also screened at the Cannes Film Festival in 2010.